Here are the top reasons you’ll want to discover this peaceful little paradise, described by many travelers as “my favorite place in Myanmar.” This laid-back mountain town is so captivating, I came for a few days and stayed for 6 months. (Watch out, it could happen to you!) If you are visiting Myanmar soon, I hope you’ll find this guide helpful … and if not, please enjoy the virtual tour! After a little time baking in the tropical heat of anywhere else in Myanmar, the cooler temperatures of this former hill station at an altitude of 4330 ft are as welcome as an oasis in the desert. 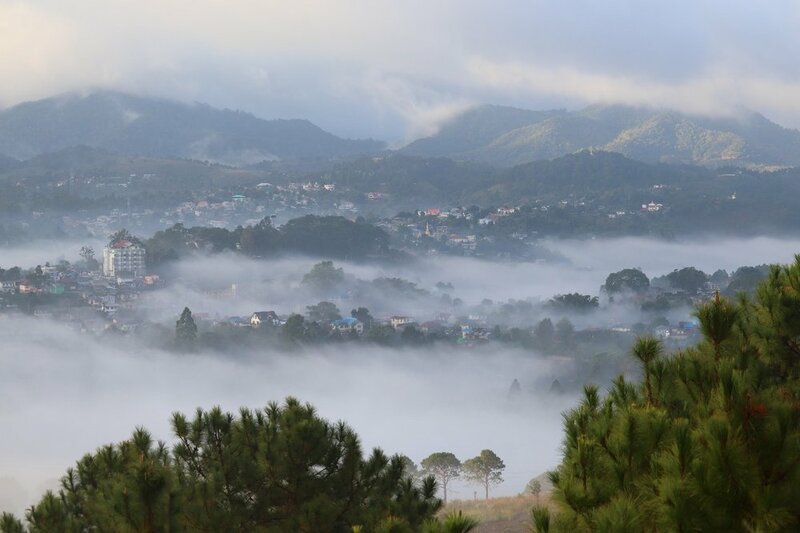 Although frequent downpours are likely during the rainy season of June – September, the hills are lush and green, and that’s also when you’ll find the best low season pricing. From November through the rest of the winter, you’ll find warm sunny days and chilly nights. Kalaw soothes the soul with the tranquility of its mountains, fresh air, vibrant flowers and chirping birds. Lovers of outdoor activities will find plenty of options here (although if you’re looking for nightlife, this is not the place for you), but no traffic – no crowds of humanity – unless you happen to visit during a festival week. The largest festivals of the year are the Festival of Lights (Thadingyut) in October and the weeklong Firecracker Festival in late November. A 20 minute drive or hour long walk from town; this destination is absolutely worth the journey. If there’s a more stunning view around Kalaw, I haven’t found it yet. A Nepalese café here serves simple but delicious food you can savor at covered open air tables while you feast your eyes on the views. This is a secret, serene hilltop pagoda with stunning views. Awright, technically it’s not secret, as it does appear on Googlemaps, although in the wrong location - but it might as well be. I spent almost 5 months in Kalaw before I found out about Ma Naw Hla (pronounced “Manola”), and in the 5 times I’ve been there since, I’ve yet to see a single other soul. This is one of those places so deeply beautiful and peaceful that I’m torn between wanting to share the beauty and wanting to keep it a closely guarded secret. Since this isn’t the Lonely Planet here, I’ve decided to go ahead and share this magic spot. It’s a 45 minute hike past the well known Thein Taung monastery view point, up a dirt road and then some paved roads and then rocky dirt paths. If you have a motorbike and you’re comfortable with steep rocky terrain you can also drive most of the way and hike just the remaining 10 minutes or so. You’ll pass another pagoda on the way up which is also quiet and beautiful. The roads to this first one are easily drivable. If you’re making the trek the whole way by foot, you’ll get a fantastic workout and gorgeous views the whole way up, but the real reward is the destination. To leave you the element of surprise I won’t give too many details; I’ll just say that if you’re a person who enjoys peace, nature and majestic views, you’ll want to spend a couple hours up here. Bring a book or a picnic lunch. The best times to visit are sunrise, or just after sunrise, when a sea of clouds envelops the mountains, or late afternoon when the sunlight turns soft and golden on its leisurely descent toward the horizon. 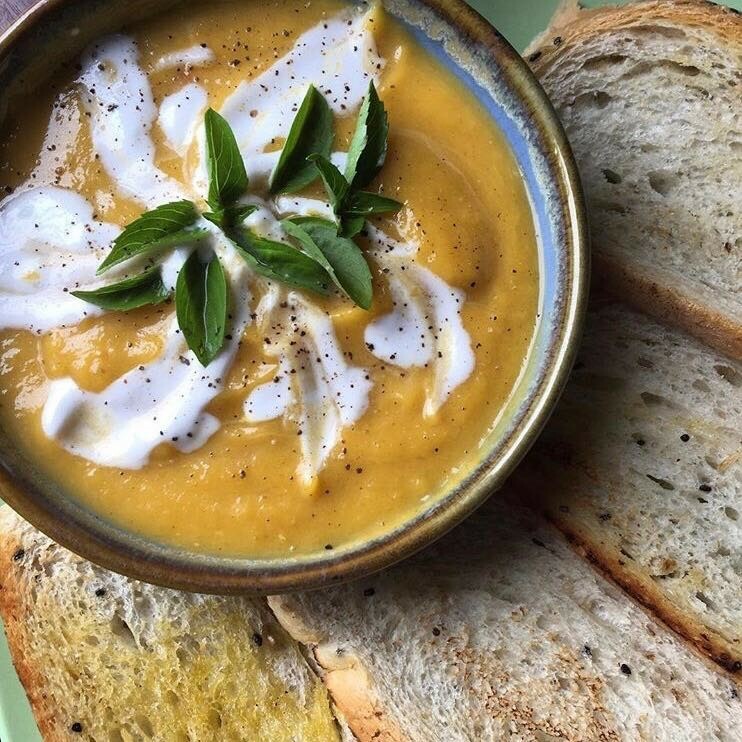 Until you’ve tried their breakfasts and homemade ice cream, you haven’t really lived. 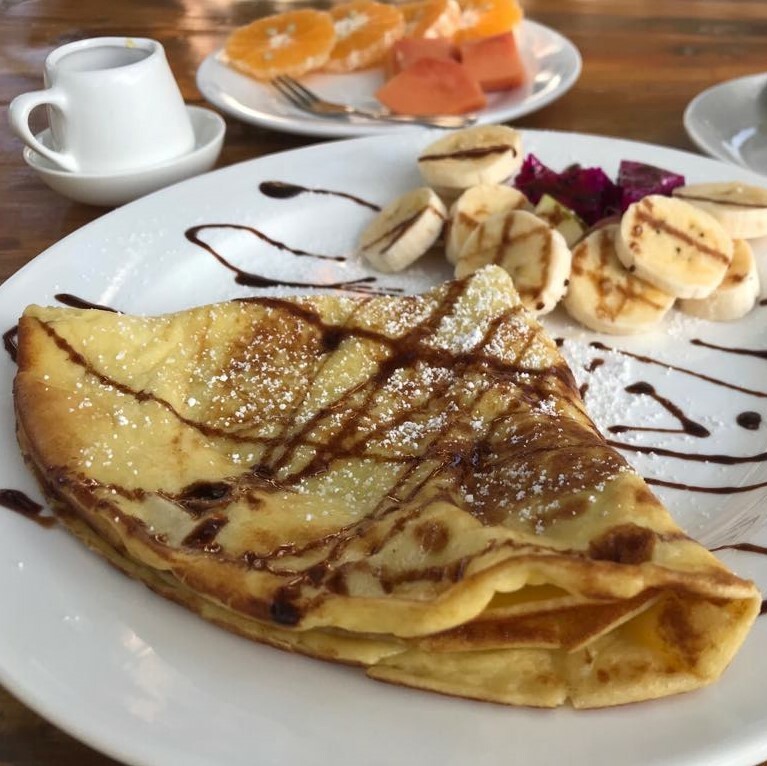 The vegan pancakes, the apple cinnamon French toast, the banana bread French toast, the sesame crepes … and if you want to go over the top decadent, have any of those options with a scoop of ice cream. (Especially: apple cinnamon French toast with masala chai ice cream.) Or you could go for the healthier yet equally satisfying option of the homemade granola with fruit and homemade yogurt. The coffees and teas are delicious too. And the Burmese salad and the nutty tahini cabbage salad and the grilled veggie sandwich with egg & mozzarella. And, during avocado season, the guacamole. And the homemade peanut butter. And the cookies. Ok, basically everything on the menu. Everything is made from scratch and they also sell some great made-in-house gift items, including the world’s best lip balm – all natural, made from coconut oil, cocoa butter, beeswax and essential oils. You can also do cooking classes here, starting with buying the ingredients at the market and finishing with a scrumptious feast. 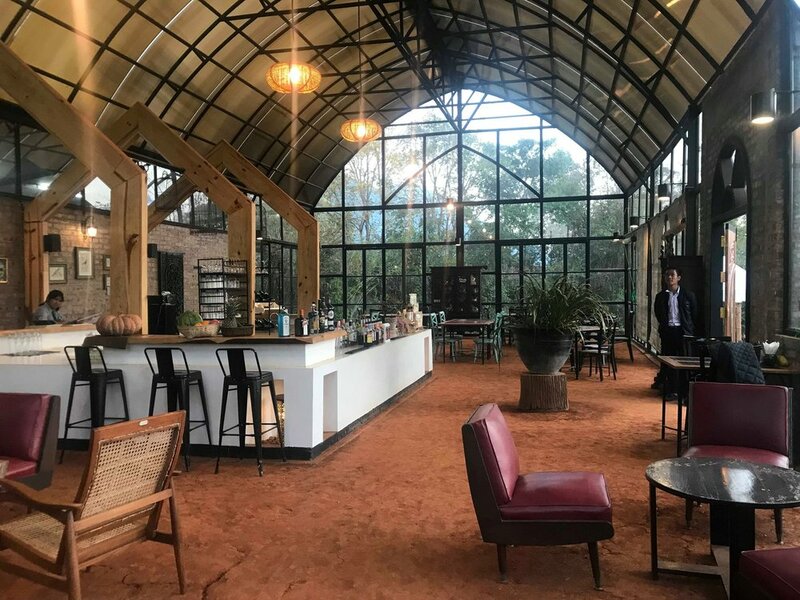 As if that wasn’t enough, the café also serves as a training center for Burmese youth and profits fund the non-profit Whispering Seed. 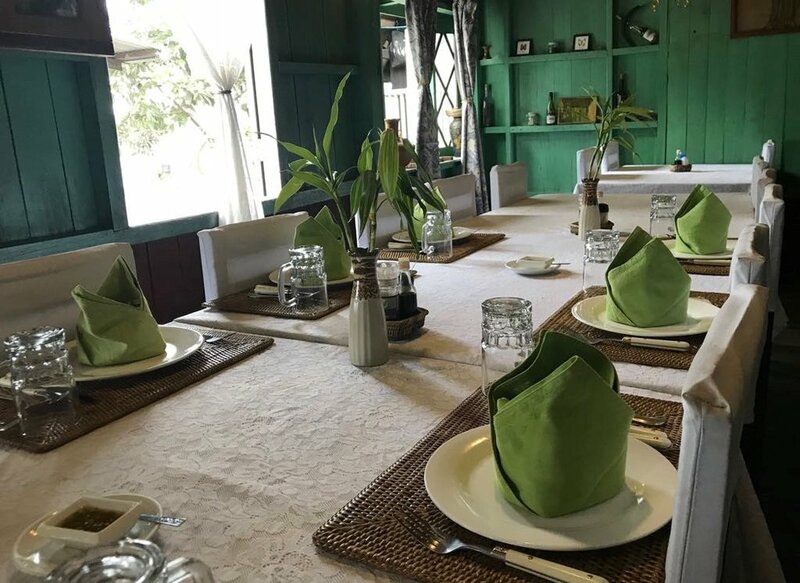 If you’re looking for a warm and cozy but upscale environment with a perfect blend of Italian and Burmese food and atmosphere, look no further. 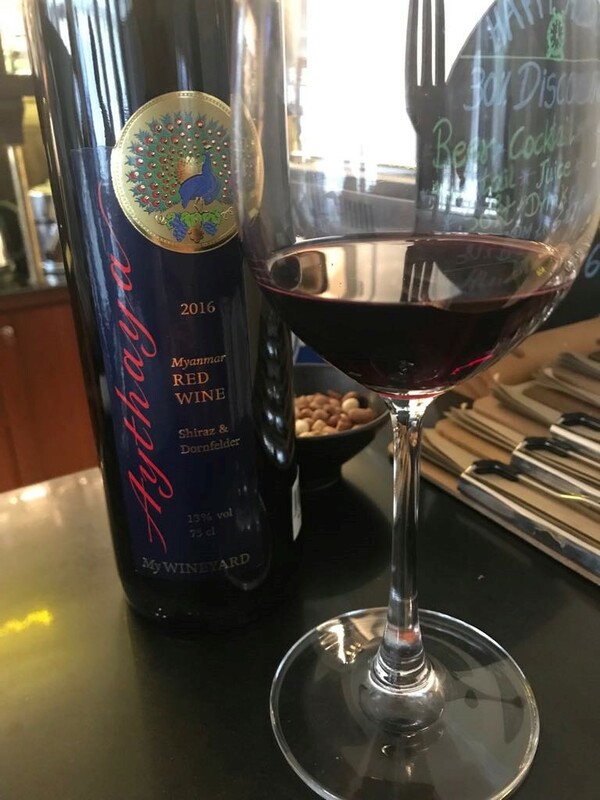 Owned by an Italian – Burmese couple (Italian husband, Burmese wife), Red House serves fantastic thin crust pizza, baked in a brick oven in the patio of the restaurant. They also serve one of the best tiramisus I’ve ever tasted (and I’ve tasted many tiramisus, believe me), homemade limoncello and fantastic lattes among many other offerings. Besides Italian food, they offer a selection of traditional Shan dishes. The outdoor seating - both on the ground floor and the 2nd floor terrace - offer a lovely view of the glittering gold pagoda down the street. 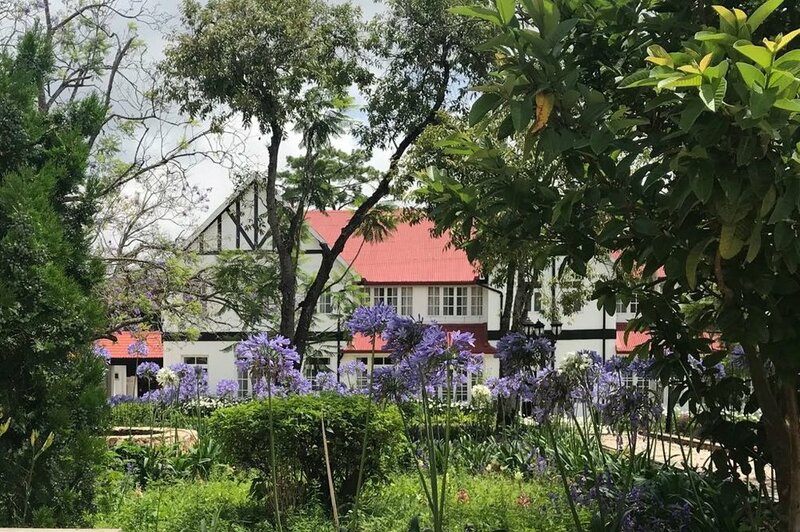 This beautifully maintained British colonial hotel is home to gorgeous gardens, a quiet, classy bar and a talented chef. 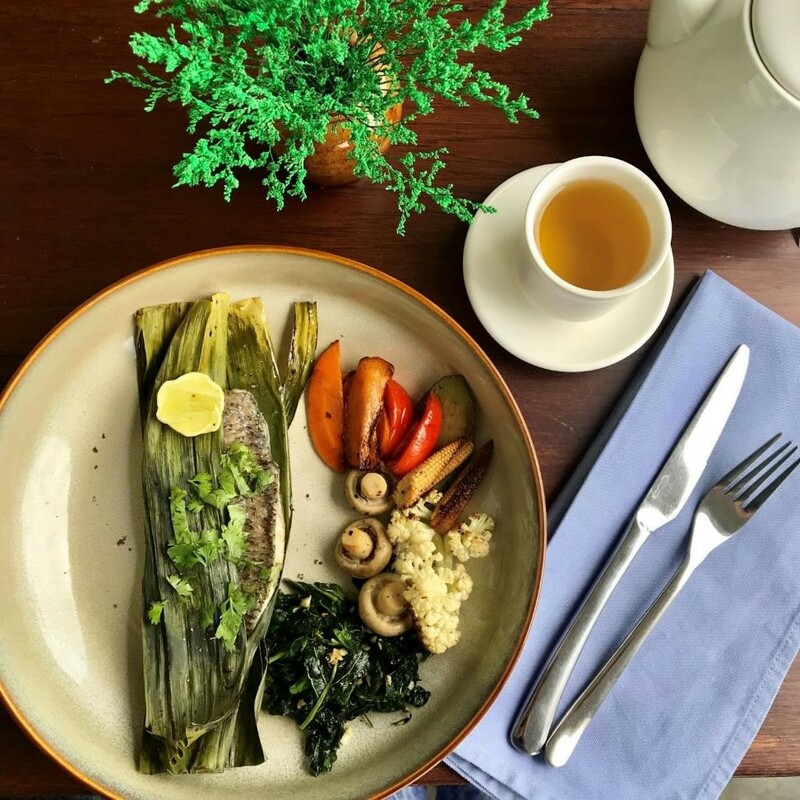 This restaurant is one of my favorite places to eat: when looking for something healthy yet satisfying and delicious, try the Inle Fish Creation (steamed fish in banana leaf) with grilled veggies (and I personally get extra veggies instead of rice.) 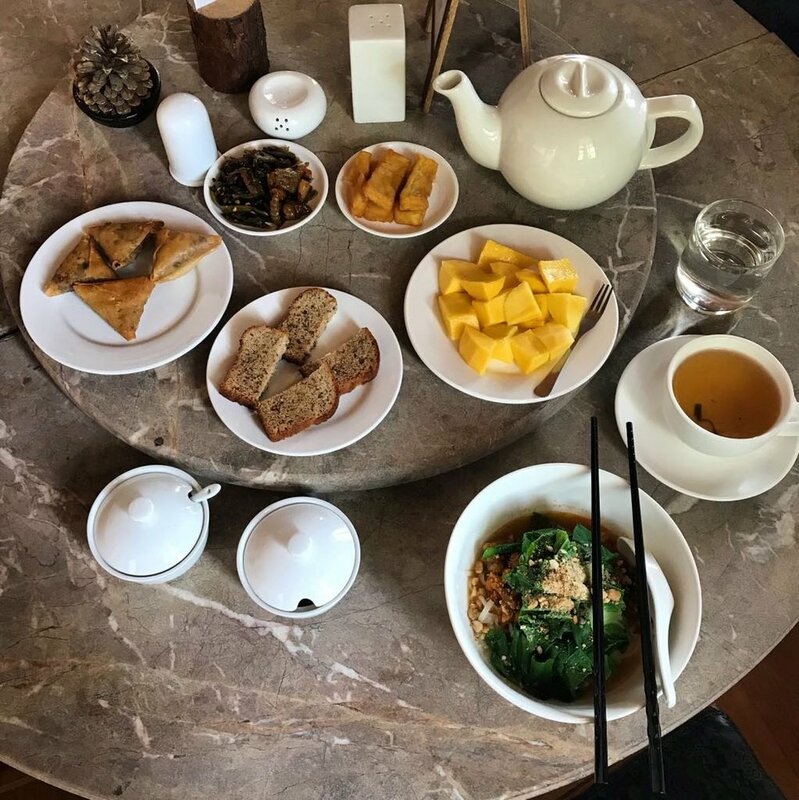 The Shan tomato salad, the lentil soup, minced pork with mint and the decadent, satisfying brownie are other favorites of mine, and their coffees are excellent and turbo-charged. Another one of my favorites, owned by the kind and endearing Min, who’s Burmese and worked formerly as a chef in Dubai. 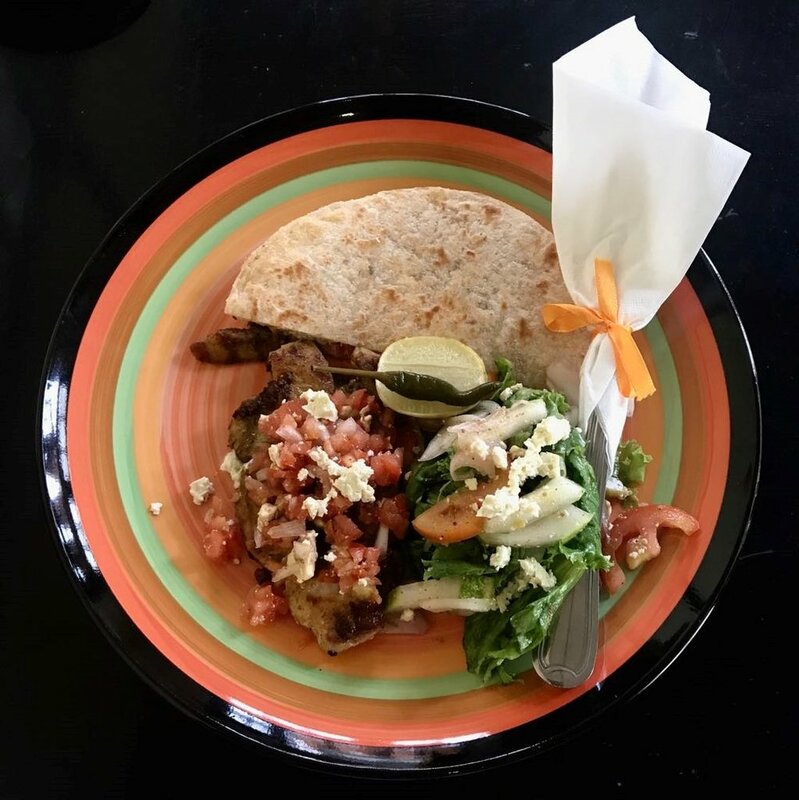 I highly recommend the grilled fish with salad (topped with guacamole during avocado season) and the lentil soup. You’ll sometimes find live music here too. Owned by the charming and sociable Louis, who moved to Kalaw from Yangon five years ago and never looked back, Boston Bar offers a great open air atmosphere, Burmese, Thai and Chinese food, drinks, sparkling pool views by day and often fun conversation and live music at night. This new arrival opened the summer of 2018, and it’s one of my new favorites. Owned by a Burmese couple who don’t speak much English but whose kindness translates without language, it’s beautifully decorated and the food is very good. So far my favorites are the seafood salad with glass noodles (although for some mysterious reason lost in translation, some days they’re able to make this less spicy, some days not), the kong bong chicken and the Tom Kha soup. They also offer many veggie options. The only place in town to get waffles and fresh veggie juice (yum!). I love the carrot pineapple ginger juice for an anti-inflammatory boost of energy and vitamins. The menu also offers pizza, pasta and delicious sandwiches on homemade bread. The charming owner Sandar is a French culinary school trained chef and the food is high quality. This Indian restaurant is a restored 20th century movie theater. It’s my favorite place to come when it’s raining – or anytime I’m craving Indian food, which is often. They’re deservedly famous for their butter chicken. 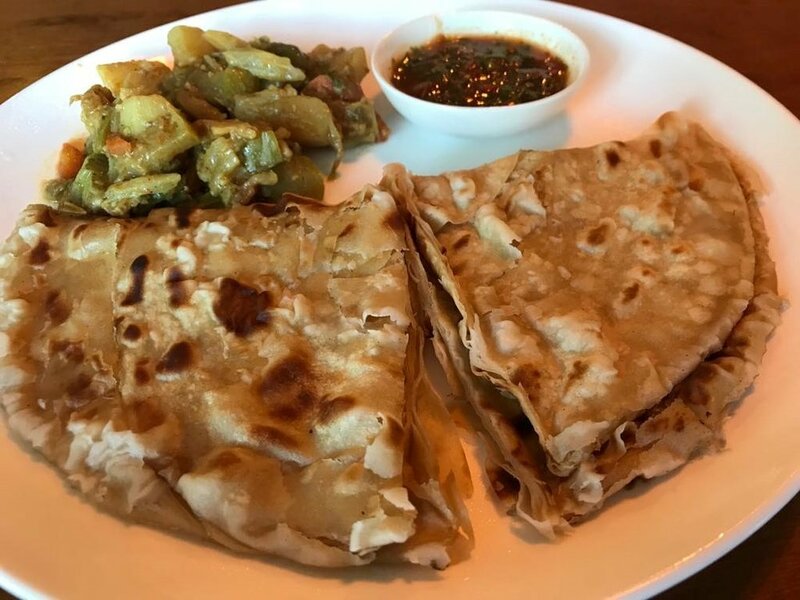 Their chapatis, masala chai’s and the hara bhara kebab are delicious and the pudina parathas (parathas stuffed with mint) are irresistible. 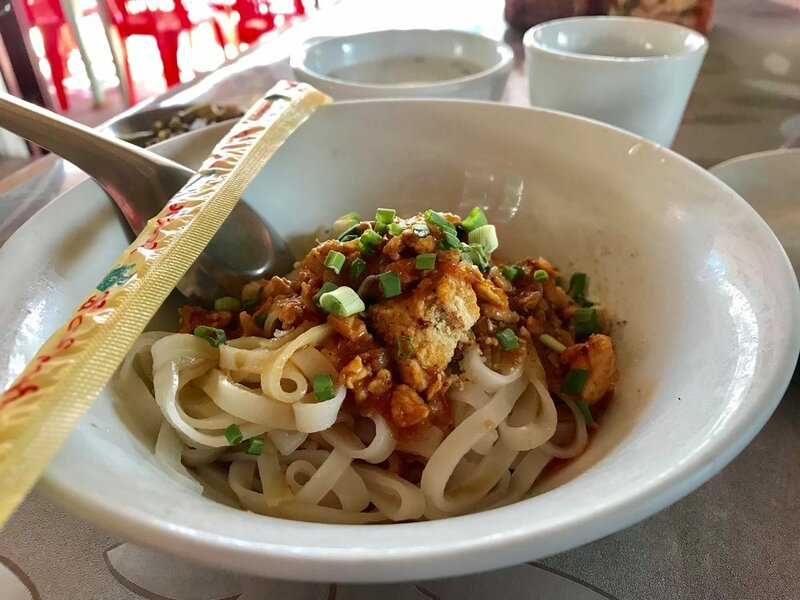 Located next door to Seven Sisters, this is the best local place in town for Shan noodles (“Shan kowswae” in Burmese), a bowl of which will set you back 1500 kyat (US$1.) When you order the noodles, they’ll ask if you want soup or salad. Pictured here is the salad; the soup is served with more liquid. While avocados are in season, they make an excellent avocado salad, too. The name means “Slowly” in Burmese, but in contrast, your food is served very quickly. There are also plenty of places around town to get local Shan food, including food stalls inside the market. They’re inexpensive and many are very good, although most dishes tend to be very oily and salty. Also be aware that most places cook with MSG – and be careful with the mohinga. Unless you are looking for a quick sudden detox, I recommend avoiding any mohinga or fish dishes from local food stalls. Their sweetness is an essential part of Kalaw’s charm. It’s in their bright, genuine smiles, in the sparkle of kindness in their eyes as they greet you in passing, their ready willingness to help you any time an opportunity presents itself. 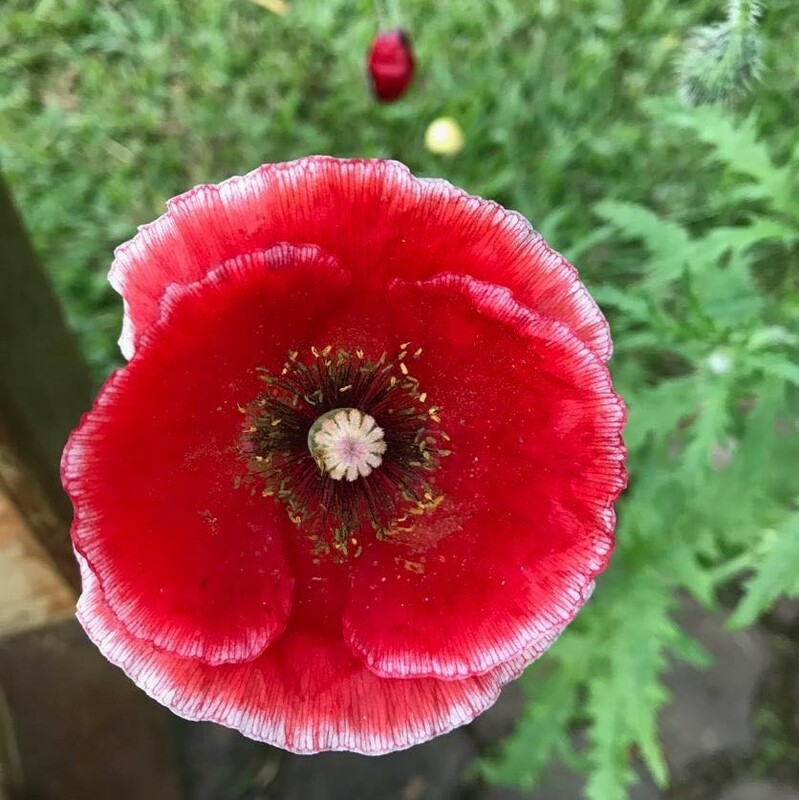 It’s in the small things; in the moments their smiling eyes meet yours and a spark of loving goodwill travels felt but unseen from their heart to yours. It’s in the encouraging thumbs up and fist pumps they give you if you jog past them on a run. It’s in their good-natured amusement if you attempt to speak with them in broken Burmese, often resulting in both of you dissolving into gales of laughter when you butcher their complex tonal language. Kalaw is known for its trekking opportunities. Plenty of options for day treks around Kalaw are available, but the most popular trek is the 3 day, 2 night journey to Inle Lake. It’s a beautiful, scenic walk back through time to a century ago. 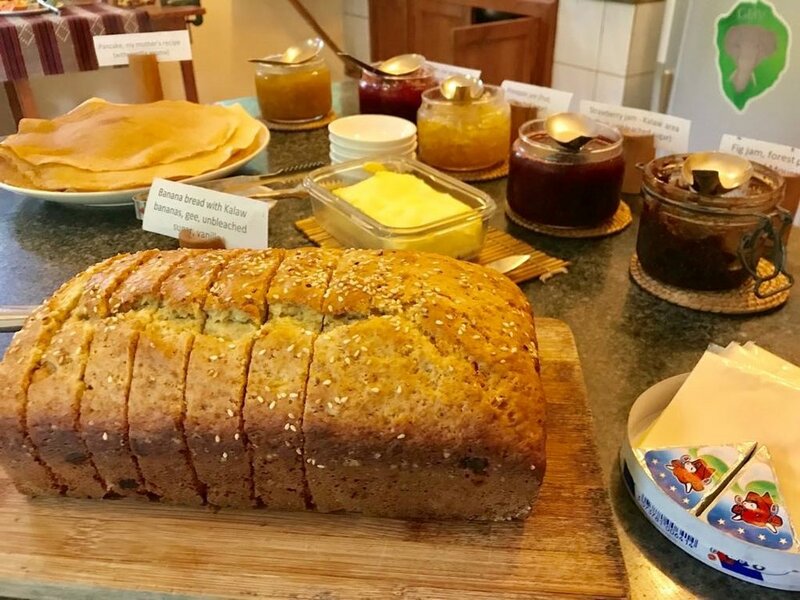 You’ll stay in simple but comfortable homestays with humble hosts who will spend hours preparing delicious meals for you, showering in cool but refreshing outdoor bucket showers. You’ll see farmers working the land by hand or with carts pulled by oxen or buffalo. You might pass by the region’s most renowned metalworker, a gentleman in his 60’s or 70’s, diligently at work fashioning metal tools by hand in a fire stoked by hand-powered coal bellows. You’ll walk through terrain that ranges from undulating farmland, hills of 50 shades of green, hilly rice terraces, groves of bamboo, hilltop pagodas and colorful distant mountains that resemble an Asian Tuscany. Your reward will be the stunning Inle Lake. Oh and by the way, wear good, comfortable, worn-in trekking shoes. Band-aids are a good idea just in case, as your guide might not be carrying any first-aid supplies. Trekking agencies abound here, so it’s not necessary to arrange anything before you arrive; you could wait and choose a guide once you get here. However, if you want to be sure of a fantastic experience while supporting sustainable tourism, you can’t go wrong if you choose to trek with Zaw. Zaw is a kind, gentle soul with an unforgettable bright smile and is extremely knowledgeable about his country and the Kalaw region in particular. You can check out his glowing reviews on Facebook at Kalaw Trekking with Zaw Min Htwe and reach him on Whatsapp at +95 94429 40711. He offers both day treks around Kalaw and the popular 3 day, 2 night journey to Inle Lake. Kalaw Yoga above Sprouting Seeds Café offers a regular schedule of yoga classes in a cozy and inviting studio. Mats and props are available and classes are adapted to the level of the students. Check Facebook for the current schedule: facebook.com/sproutingseedscafe . Kalaw Hill Lodge also offers yoga & meditation retreats at their tranquil, all-inclusive oasis where nature and luxury meet amidst the pine-forested Shan hills. This spa & salon is loved by locals as well as tourists. It doesn’t have a luxurious spa ambience, but the massages are good. I highly recommend the Burmese traditional massage, especially with Nyein Nyein Thu as a therapist, and the Swedish massage with Eie Eie. An attractive, reasonably priced spa with very good massages. (It’s worthwhile learning how to say “More pressure please” in Burmese before coming here, however.) Many of the body treatments are for women only but men can enjoy the foot massages too. This is your most decadent option. If you want to splurge and truly bliss out, book an appointment here. The Shiatsu and the traditional Burmese massages are divine. Farmers and vendors of the Inle region operate a rotating market through 5 towns including Kalaw, so approximately every 5 days a vast market of fresh produce, flowers and various other diverse goods including clothing, kitchenware, cosmetics, nail polish and shoes appears on the streets of downtown Kalaw, starting at about 6am and beginning to dwindle down around 3pm, though some stands will remain until around 5. 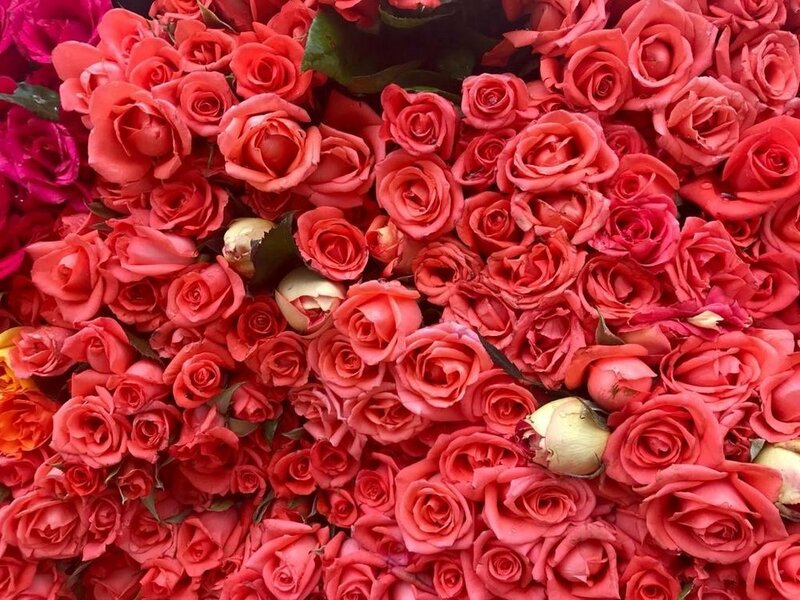 The alluring piles of fresh tomatoes, avocados, carrots, ginger and flowers are a sight to see. Peruse the streets and you’re likely to come across some interesting vegetables you’ve never seen before. As well as some tables of dried fish – hold your breath! The approximateness of the market’s dates is due to Myanmar’s many holidays, including monthly Full Moon days. This is Burma, so of course you’ll find pagodas. Right in the middle of town is a tall, glittering, golden one. Shwe Oo Min pagoda is another photogenic one, and you’ll find plenty of others gracing various hilltops. May cause love at first sight. 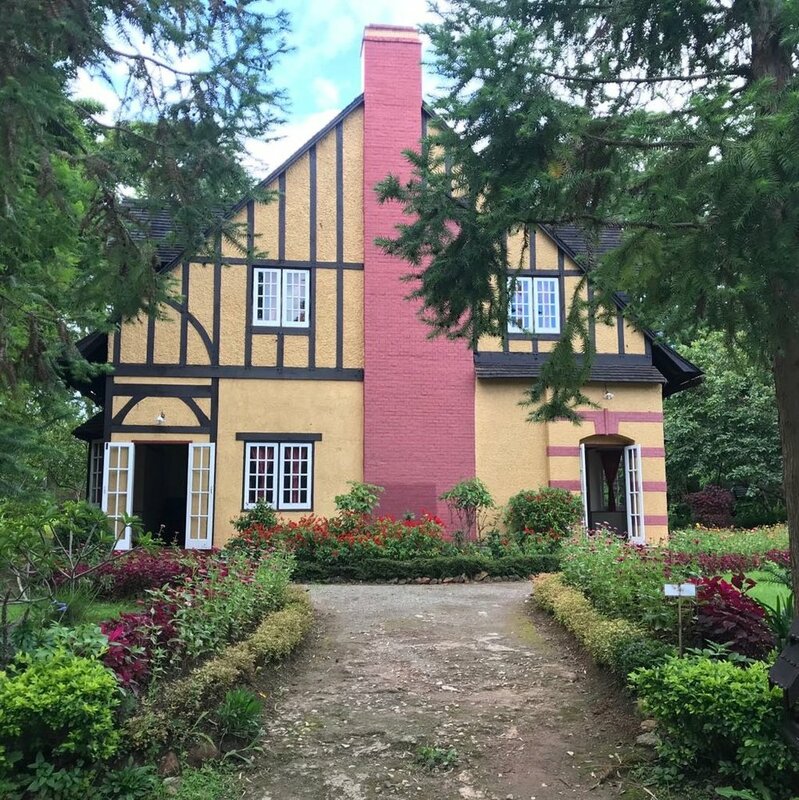 Made up of 4 ivy-covered A frame buildings with a gorgeously landscaped exterior, Hillock is straight out of a story book, complete with cute spotted dog resting curled up on the stairs to the entrance. The rooms and reception are spacious but cozy, giving the feeling of being at home. The beauty of the hearts of the owner and staff match the beauty of the exterior. During the 3 months I stayed here, they treated me with unfailing graciousness, warmth and vibrant sweetness. And then, the breakfasts. Hillock breakfasts are legendary. The Shan noodles, the pancakes and eggs, the samosas, the platters of fruit … an experience not to be missed. A cozy, modern, beautiful, homey treasure of a B&B. Gorgeously designed, with a spacious open kitchen, wide communal dining room table and inviting cushy couches in the living room. Breakfasts are delicious; especially the homemade brioche. The charming owners, Bobo and Cho Cho, are both Burmese and live part time in the US; and the design and furnishings meld Burmese touches with western quality. Bonus: some rooms come with a bathtub. 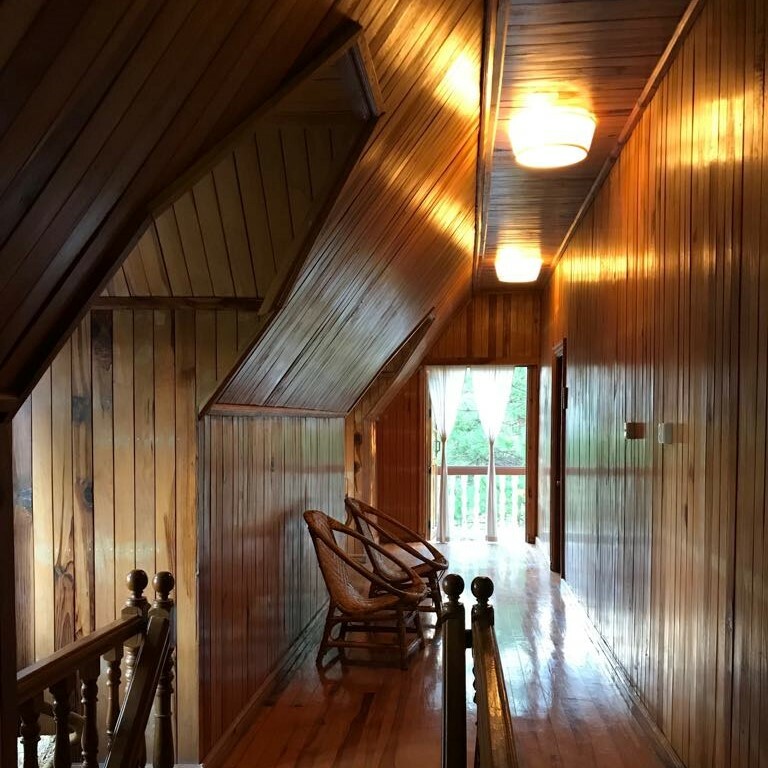 This meticulously maintained hotel dates back to 1903. 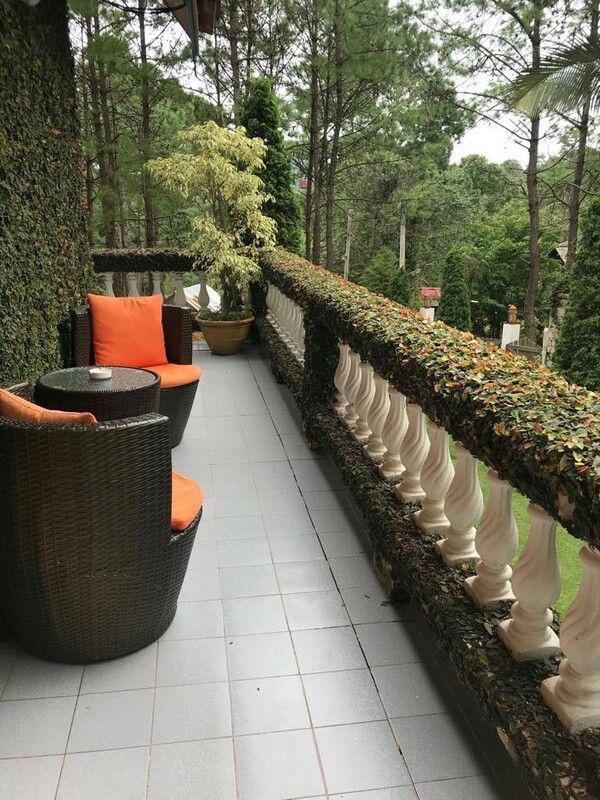 Stunning landscaping, gorgeous flower gardens, spotless British colonial style rooms and a bar with an attractive ambience. Room 111 is heaven and the chef here is excellent. A hidden gem next to the railroad tracks just beyond Kalaw Heritage. 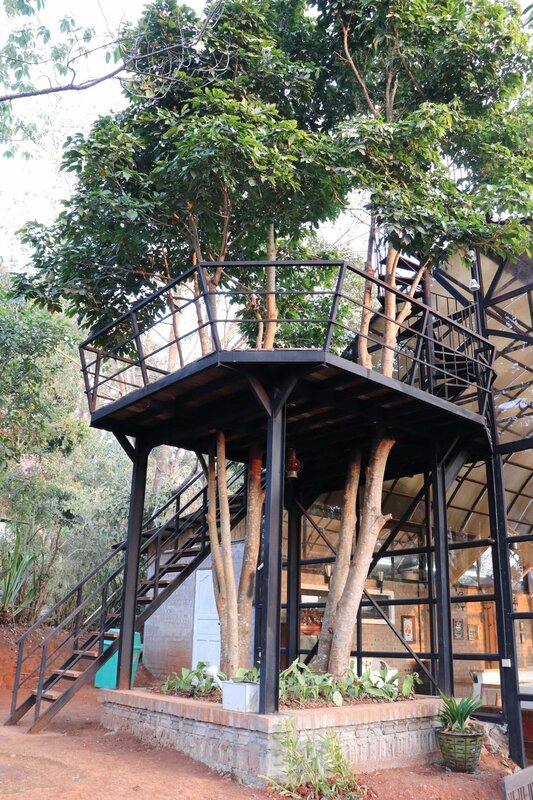 A delightful complex of A frame buildings with sloping roofs that reach all the way to the ground and cozy carpeted interiors with modern touches. A perfect place to curl up with a good book and stay put all day. 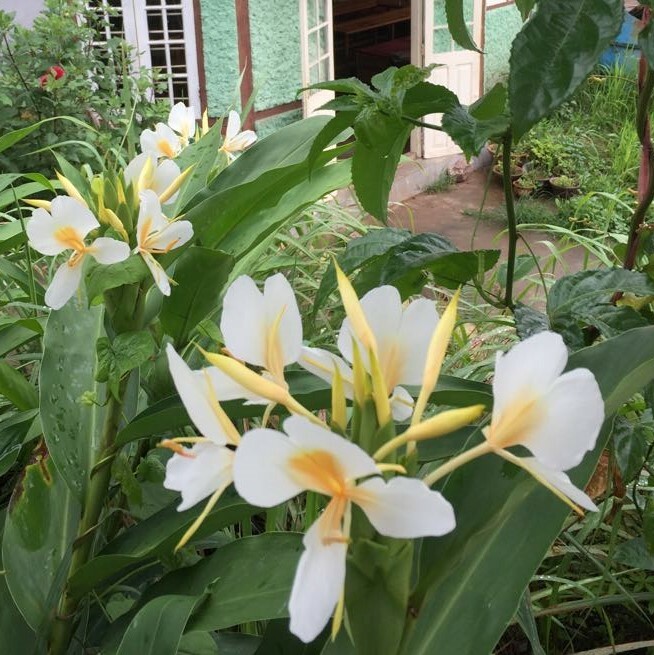 A boutique property with rooms and cabins that blend harmoniously with nature, gorgeous landscaping with a tropical feel, two very cute goats in the backyard and an unforgettable breakfast of crepes, homemade breads, eggs prepared to your taste, fresh fruits and juices and an extensive selection of homemade jams. Beautifully landscaped, with spacious light-filled bungalows, fantastic hot showers and Mgwe: the sweetest, most helpful owner. Yummy banana pancakes and eggs for breakfast. Bonus: my room came with the best hair dryer I’ve encountered in a long, long time. Simple but peaceful. Far enough from town so that the only sounds you hear are the soothing chorus of birds chirping. The coconut pancake for breakfast is delicious, and the shower is a dream: powerful and as hot as you want it. 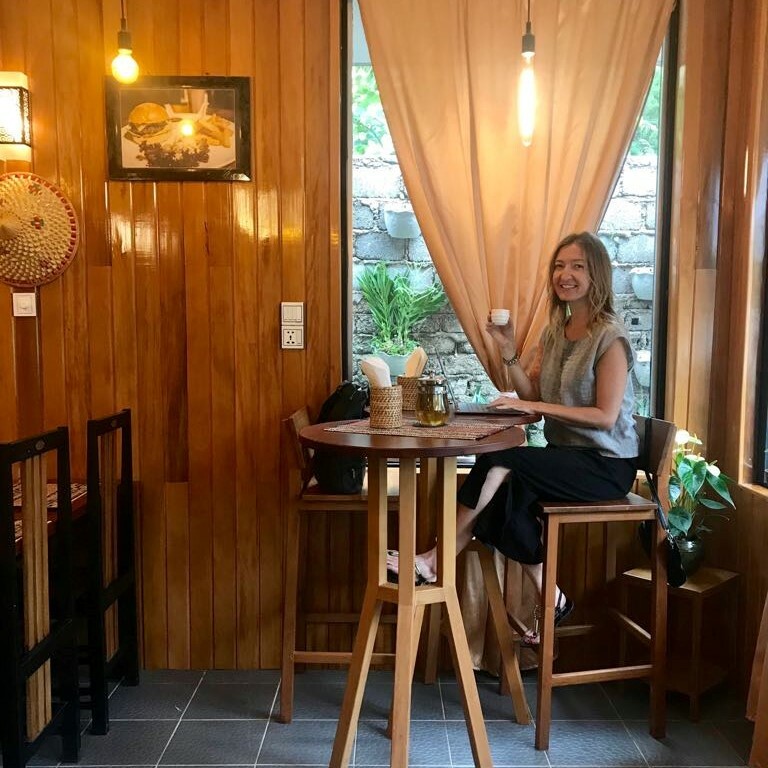 The owner Thi Thi is a lovely, sociable person with fabulous recommendations for what to do and see around Kalaw and the rooftop offers a wonderful view of the town and the sunset. A 25 minute drive from town, this is a peaceful oasis you won’t want to leave after you arrive. Luxurious cabins, a flourishing organic garden and a heavenly spa fan out from the central lodge in the lap of pine-carpeted mountains. Available activities include yoga, meditation and massage, hiking to the nearby Nepalese village for a delicious lunch, visiting the nearby organic farms, milking a cow, enjoying your leisure time, and eating. The food here is 5 star and the buffet breakfasts are sensational. Kalaw Hill Lodge also does a lot to give back to the village community around them. If you enjoy spending your money at ethical places, this is a place you’ll feel good about staying. A little boutique paradise of colonial style buildings, gorgeous rooms and idyllic landscaping. Just walking through the fairy tale like grounds with its tranquil pools of water, swings, gazebos and exotic flowers is a true pleasure. Another upscale boutique haven in a peaceful setting. A complex of four colonial style buildings, two of which are original and two of which are new – but you can’t tell the difference. The rooms are elegant and inviting. An hour and a half drive from Kalaw you’ll find the majestic Taw Kyal waterfall, as well as the naturally bright turquoise Blue Lagoon. If you talk to locals around Taw Kyal (speaking Burmese is an obvious asset in this scenario; otherwise, take a guide with you) they’ll be able to direct you to other hidden waterfalls completely off the tourist trail. I haven’t personally gone yet (too busy with everything else on this list), but everyone who has been here returns with rave reviews about this elephant sanctuary, so it deserves to be mentioned here. Please note there is also another elephant camp nearby: Shan Yoma elephant camp, which opened April 2018. It’s much cheaper; not at all of the same caliber, and the elephants there aren’t well treated, so please skip that one. If you want to see elephants, stick to Green Hill Valley. It’s a short 45 minute drive from Kalaw and their website is: http://ghvelephant.com/ . A 2 hour drive from Kalaw, Pindaya is home to some spectacular scenery, gold-topped pagodas and an unforgettable cave (Pindaya Caves) filled with stalactites, stalagmites and over 8000 Buddhas. Green Tea Restaurant is a spacious and attractive lakeside restaurant in town – try the steamed butterfish with ginger. Wineries? In Myanmar? Yes indeed! There are two of them in Shan State, where grapes grow happily in the fertile soil of this region. And last but not least, because it’s the little things…. And that, ladies and gentlemen, is all for now. There are many more reasons to visit this magical place, and the rest are there waiting for you to discover. Have you been to Kalaw? Let me know what was your favorite place, food or experience!